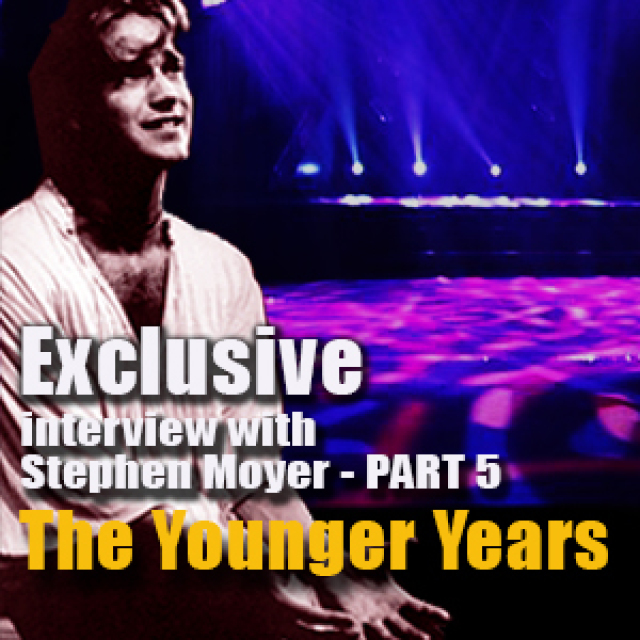 In Part 5 of the interview Stephen opens up about his wild younger years. After speaking with Stephen about the biggest success of his career and his upcoming projects, I thought it was opportune to take a look at his past as well. All this success with True Blood that has basically come overnight, if this level of success and becoming a celebrity had happened to you 20 years ago when you were 25…. Stephen shakes his head and interrupts me before I can finish my question: “I’d be dead”. ….would you have handled it differently? “I would be dead”, Stephen repeats raising shoulders and eyebrows up simultaneously. 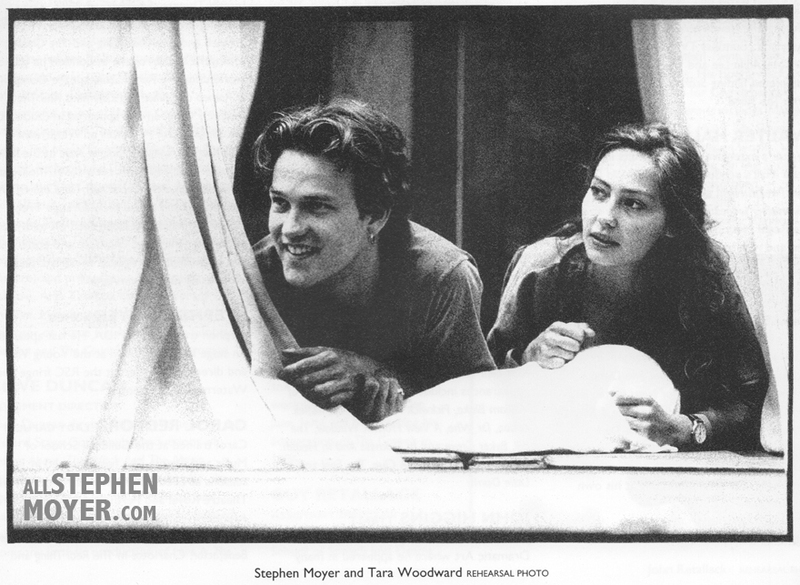 I tell Stephen that I have a couple of original programs from his theater days, including Romeo & Juliet and seeing the photos of that young guy I wonder what his dreams were. Did he dream of becoming a big theater actor? 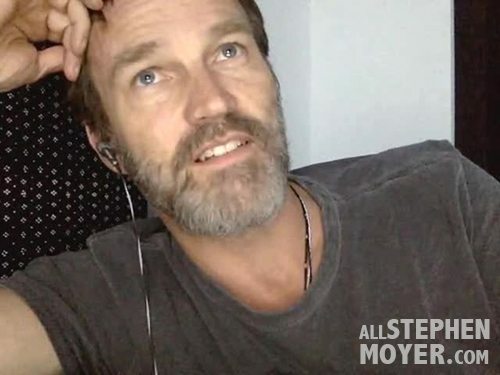 Stephen stares up towards the ceiling again and strokes his graying beard while digging through the archives of his mind remembering who he was in the early 90’s. “I used to write a lot and I wanted to have written my first novel by the time I was 25”, Stephen continues. “I wanted to have directed ‘Citizen Kane’ by the time I was 25, recorded my first album, I wanted to do all of this stuff. When I got to 25 and hadn’t done any of those things, I didn’t know what to do, so I spent the next 5 years doing what I was really good at which was going to the pub and talking about it.” Stephen smiles. “I wanted to be Orson Welles”. To see the original program from Romeo & Juliet and read more about the play visit the special Romeo & Juliet page on AllStephenMoyer.com. Stay tuned for part 6 of our exclusive interview! For Stephen’s sake I’m glad his success and recognition came later rather than in what he terms his crazy years. I appreciate his sharing on this level. Well done as always, Shad. Stephens candor about his early career is refreshing and I as many I’m sure are thankful he got through the rough times. Youth and fool hardy behavior often travel hand in hand . Luckily Stephen was fated for success, fame and fortune a bit later in life.